Over the past four years, we’ve had numerous conversations with colleagues, partners and practitioners about how to build innovation capacity within both the public sector and development sector. 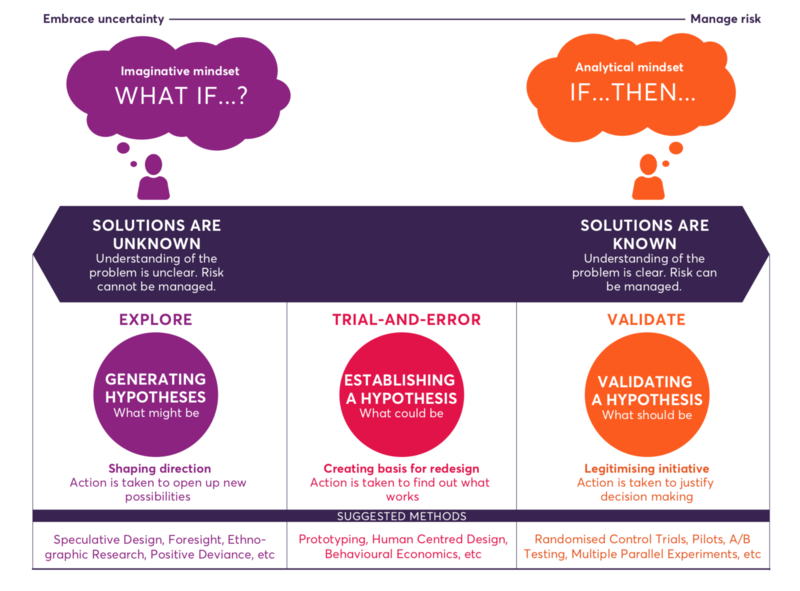 We’ve often found ourselves quickly sketching a model or pulling out a diagram to support the conversation, and so we have collated these in the ‘Playbook for innovation learning’. The playbook includes 35 diagrams, each with a short description explaining its purpose and background and how we use it to help others think about and discuss learning for innovation. We see this playbook as a collection of learning ‘design patterns’ that can be used in a non-linear, interactive way by combining and ‘mashing-up’ different tools to get the job done. The playbook is aimed at innovation practitioners with several years of experience, but we believe that newcomers might also find it useful. This entry was posted on Friday, May 18th, 2018 at 9:15 am and is filed under Business Management, Research & Innovation. You can follow any responses to this entry through the RSS 2.0 feed. You can leave a response, or trackback from your own site.